Let me share with you one of the stories of lives changed because of Christ. While Sunday a young man was stopping to wash himself in the local way, which was to drop a rubber pail into a well and pull the water up and wash yourself. This particular day he tells me that there was a pail but no rope and so he found a steel pipe and raised the pail with the pole. As he was lifting it, not noticing that there was high powered electrical lines above him, the pole touched the lines and he was electrocuted and caught fire. Two witnesses carried him to the local hospital which gave him a bed to rest. 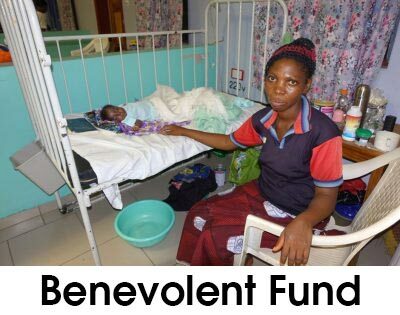 Ten days later his father came to see what was happening to his son and soon realized that they had done nothing for him, because the doctor had not showed up yet. 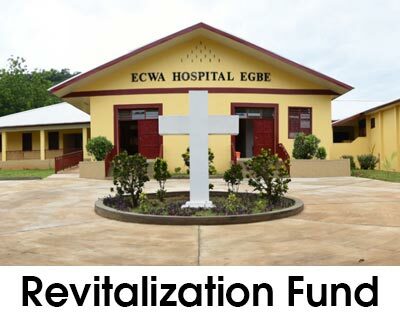 So the father carried his son away from that hospital and brought him to Egbe Hospital, where he was rushed into the emergency. The missionary doctor quickly made an assessment and, to relieve the shock and the pain, had to amputate the infected arms. As the young 18 year old young man was resting in the hospital bed for a number of months we were able to visit him on a regular basis to encourage him. How does one live in remote Africa without any arms? 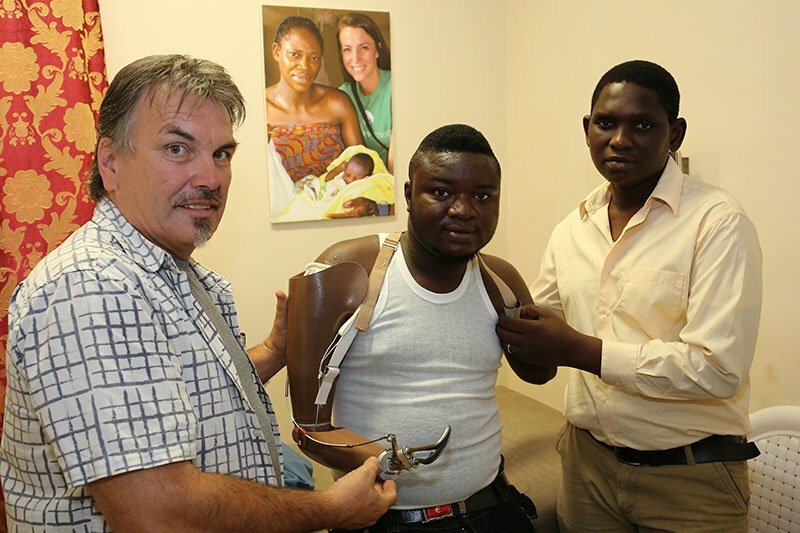 Compassion, and love moved a number of people from Canada to come together and design prosthesis for him. Not just regular ones, but a new concept of 3D printed prosthesis. Well today, Sunday as a 21 year old is using his new arms with a new chance to feed himself and wash himself again. This was not easy, and showing the compassion and love is not considered easy, but it is so worthwhile to see a life changed. This was not free, as it took a number of people to come together to cover the cost of the prosthesis. But it was worth the cost to see the freedom it gives to this young man to be able to live again. Sunday doesn’t know all the people who helped him, and yet he is so grateful. Sunday can never pay back the money it cost, and yet really doesn’t understand the total cost, but he knows now he has new life with these prosthetic arms. It is a reminder that we may not know who told us about the Love of Christ, but it cost someone to give us the message. It cost someone to show us the love and compassion of Christ. Yet to have new life is worth any cost. It cost the Life of Christ to give us an opportunity for New Life. I still work with Sunday and visit him every couple of weeks to continue with his new life.